CAMBRIDGE, ON--(Marketwired - April 20, 2017) - In celebration of Earth Day on April 22, let us reflect on the vital importance of wastewater as a widely available and valuable resource. More importantly, the critical role wastewater can play in the health of our planet in terms of energy recovery, water conservation and reducing our carbon footprint. The United Nations' 2017 World Water Development Report highlights both the significant potential and global misuse of wastewater. Unfortunately, on a worldwide basis, most wastewater is untreated and left to become an environmental liability. However, when and where treated properly, wastewater has proven to be an extremely valuable, environmentally sustainable, resource. In particular, the report identifies the untapped potential of wastewater as a cost-efficient and sustainable source of energy, nutrients and other useful by-products. And, the challenge of achieving true, beneficial use is not limited to low-income countries. Drought-stricken areas such as the southern United States and coastal states, including California, are constantly searching for ways to conserve water and maximize the use and reuse of wastewater. 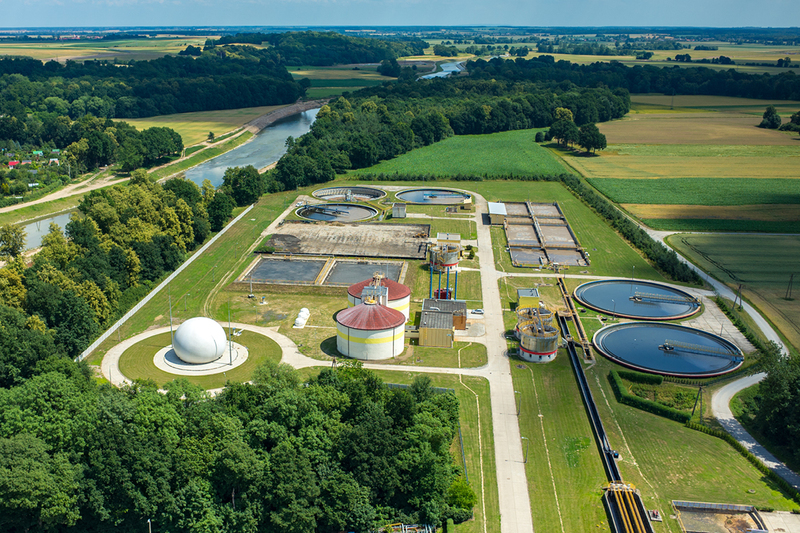 In the face of ever-growing demand, wastewater is gaining momentum as a reliable, alternative source of water, shifting the paradigm of wastewater management from 'treatment and disposal' to 'reuse, recycle and resource recovery'. "The growing recognition of wastewater as an untapped resource is driving change for improved wastewater treatment, increased water reuse and the recovery of useful by-products that support the transition to a circular economy," says Kevin Litwiller, Director of Marketing & Business Development for Lystek. "With today's knowledge and practical solutions, it is possible to protect our natural resources while balancing this need with responsible, economic development. When we work together toward this goal, we can achieve true, long-term, sustainability." Lystek International, a leading biosolids and organics solutions provider, is partnering with a growing number of generators across North America. Together, we are realizing success and demonstrating the many benefits of advanced resource recovery through the practical reuse of wastewater. In Fairfield, California, Lystek's new, state-of-the-art Organic Material Recovery Center (Lystek OMRC-FSSD) is reducing greenhouse gas emissions, eliminating pathogens and producing a safe, saleable biofertilizer (LysteGro®), a Class A EQ (Exceptional Quality) product. Here, wastewater has become a recovered resource that is also being leveraged for its energy and revenue potential. The UN report is justifiably optimistic about the advancement of new technologies for recovering wastewater energy. The solutions to the global wastewater problem can already be seen in examples such as the multi-faceted, Lystek OMRC-FSSD approach, where generators, environments and residents can all benefit from resource recovery resulting in cleaner water, a reduced, carbon footprint and true sustainability -- all from tapping into the potential of wastewater. Lystek International Inc. is a leading provider of Thermal Hydrolysis solutions for the sustainable management of biosolids and organics. The multi-use, award-winning Lystek system reduces costs, volumes and GHG's by converting municipal and industrial wastewater treatment facilities into resource recovery centers. This is achieved by transforming organic waste streams into value-added products and services, such as the patented LysteMize® process for optimizing digester performance, reducing volumes and increasing biogas production; LysteGro®, a high-value, nutrient-rich biofertilizer and LysteCarb®, an alternative source of carbon for BNR systems. About this company Lystek International, Inc.